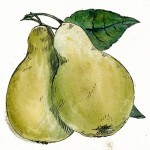 Public domain drawing of a pair of yellow pears. 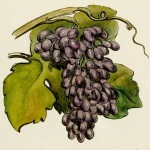 Public domain purple grape clip art drawing. Copyright free apple clip art drawing. 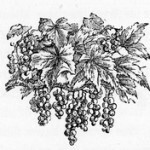 Vintage black and white grape vine drawing. 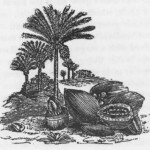 Vintage drawing of a date palm and dates. Vintage red apples drawing that was used as a page spacer. The entire thing is drawn with lines, almost in an Asian style. Golden apples available too. 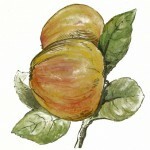 Vintage clip art style colored drawing of a branch with 3 peaches. 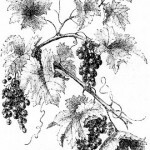 Vintage black and white drawing of grapes on the vine. 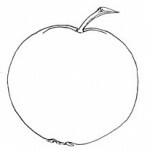 Simple black and white line drawing of an apple. A bunch of grapes and leaves. 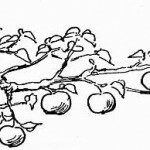 Black and white line drawing of apples on a branch. 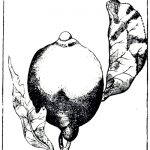 Truly vintage illustration of a lemon on a branch.